Susan Macdonald writes that the time between a building's creation and its protection and conservation has never been as compressed as it is for the heritage of the Modern era. Gropius's Bauhaus was only forty years old when it was listed in 1964. The city of Brasilia, designed in 1956, was inscribed on the World Heritage List in 1987. Attempts to inscribe the Sydney Opera House began a mere eleven years after its completion in 1973. Yet despite early efforts to protect and conserve the most iconic places of the Modern era, it was not until the 1990s that the conservation of modern heritage emerged as a distinct area of practice. That decade witnessed intense activity by a growing group of practitioners to address conservation of twentieth-century heritage, and by the beginning of the twenty-first century, a number of governmental and nongovernmental organisations were focused on this work (GCI Newsletter, Spring 2013). Carmichael writes that selecting Modern buildings for landmark or historic designation poses new challenges, as the number of buildings far exceeds that of earlier architectural periods. 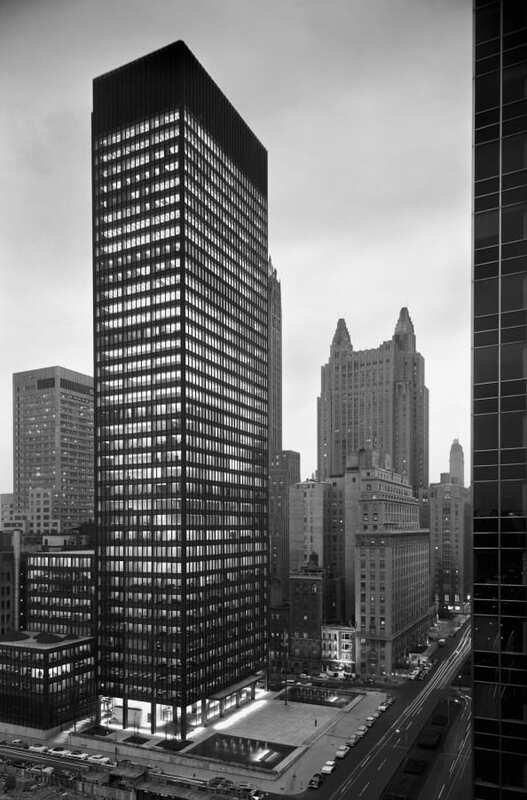 The materials and techniques of Modern architecture allowed for rapid and prolific construction which not only helped achieve the social ideals of the movement, but also resulted in a historically unprecedented volume of new structures. To give a sense of scale to this, consider that there are approximately 300 surviving works by Frank Lloyd Wright alone. In the USA, with many Modernist structures now reaching the age threshold for protection by historic and landmark commissions, the number of buildings and sites classified as Modern that are listed on the National Register of Historic Places is approaching 600 and counting. Still more are listed on state and local registries (Carmichael, 2012). Local, national, and international organisations, states Macdonald (2013) are dedicated to saving and conserving modern heritage which demonstrates an interest in and comfort with identifying the recent past as important; it brings together sectors of the architectural and conservation community that had not previously been closely aligned. DOCOMOMO, formed in 1988 has been influential in creating a network of academics and practitioners that promote the continuum of the modernist philosophy in the practice of contemporary architecture and simultaneously aims to conserve the legacy of modernism by bringing contemporary architects and critics who are proponents of modernism together with historians and conservationists (GCI Newsletter, Spring 2013). De Jonge reminds us that due to the increasing prominence of time as a factor in decision-making, the building industry underwent great changes in the 19th Century. The limited range of building typologies dating from earlier ages accommodated a variety of functions and had proven to be quite easily adaptable for other uses. Therefore, they had a long functional life expectancy and the technical lifespan was aimed to be accordingly great. With the Industrial Revolution, the programmes for buildings had become more diverse and specific as did the buildings themselves (de Jonge, 2004). As the timespan for the use of buildings changed after WW2, time and transitoriness ultimately became important issues in architecture. Combined with the technical progress of the era, such developments led ultimately to revolutionary ideas. Pioneering and never seen before buildings were produced by the designers of the Modern Movement Era. Around 1920, in some West European countries, architects started to acknowledge a direct link between the design, the technical lifespan of a building and user requirements over time. In those days, this vision represented a revolutionary point of view. Architects of the 'New Architecture characterised their buildings not as a style but rather as a working method, setting great value on the connection between form, function, applied materials, construction, economy and time. User requirements and the economy were seen as the causes, while appearance and form emerged merely as a result. 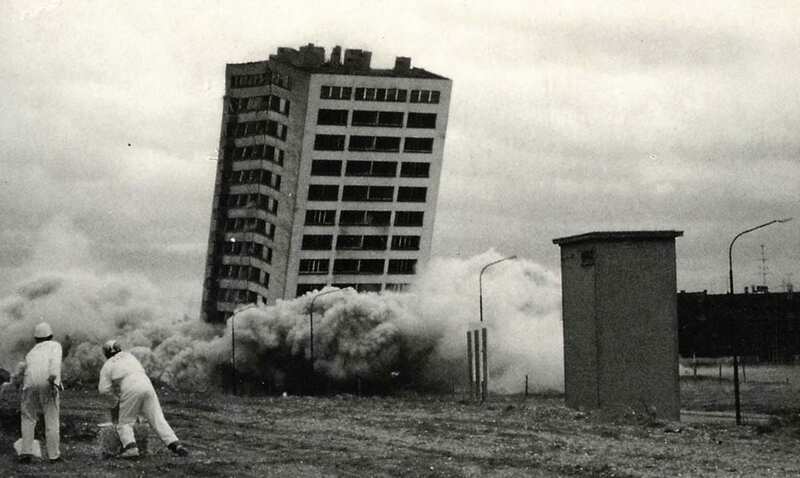 They regarded buildings as utilities with a limited lifespan by definition, sometime even as "throw away" articles (de Jonge, 2004). Despite considerable professional interest and an admirable body of conservation knowledge; intones Macdonald, there remain many challenges today. Clearly, widespread recognition and support for the conservation of twentieth-century places has not yet been achieved. There is not a shared vision, approach or methodology for conserving such buildings. Challenges such as; lack of recognition and protection; lack of a shared methodological approach; life span and technical challenges (durability, knowledge, and experience of material conservation and repair versus replacement and; obsolescence - functionality, adaptability, and sustainability – continue to frustrate the impetus of such conservation efforts (GCI Newsletter, Spring 2013). French (2008) predicts that the cyclical nature of preservation of postmodern buildings will be the next challenge in the field. He writes that there will be a future movement that many organisations have so far failed to recognise. Major works and intact vernacular examples will reach the age necessary for historic status, if the buildings stand long enough. French urges preservationists to identify and assess the significance of such structures before threats emerge. Also particularly telling is his statement that "it is only a matter of time" before most building materials need replacing (French, 2008). Macdonald, Susan, Modern Matters - Breaking the Barriers to Conserving Modern Heritage, Conservation Perspectives – The GCI Newsletter, Spring 2013 – Conserving Modern Architecture p 4-9. Susan Macdonald is head of Field Projects at the Getty Conservation Institute. Carmichael, Bradley T., When Modern Becomes Historic: Preserving the Modernist Building Envelope Learning Objectives - May 2012, Building + Construction. de Jonge, Wessel, Three modern preservation cases - The restoration of Rietveld's Biennale Pavilion (1953-54) in Venice, Italy, compared to Sanatorium "Zonnestraal" (Jan Duiker, 1926-28) and the Van Nelle Factories (Brinkman & Van der Vlugt, 1926-31) - page 1 of 10, Architecten BNA, 2004.